LeWitt was born in Hartford, Connecticut to a family of Jewish immigrants from Russia. His mother took him to art classes at the Wadsworth Atheneum in Hartford. After receiving a BFA from Syracuse University in 1949, LeWitt traveled to Europe where he was exposed to Old Master painting. Shortly thereafter, he served in the Korean War, first in California, then Japan, and finally Korea. LeWitt moved to New York City in 1953 and set up a studio on the Lower East Side, in the old Ashkenazi Jewish settlement on Hester Street. During this time he studied at the School of Visual Arts while also pursuing his interest in design at Seventeen magazine, where he did paste-ups, mechanicals, and photostats. 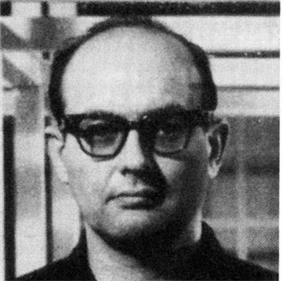 In 1955, he was a graphic designer in the office of architect I.M. Pei for a year. Around that time, LeWitt also discovered the work of the late 19th-century photographer Eadweard Muybridge, whose studies in sequence and locomotion were an early influence. These experiences, combined with an entry-level job as a night receptionist and clerk he took in 1960 at the Museum of Modern Art (MoMA) in New York, would influence LeWitt's later work. At the MoMA, LeWitt’s co-workers included fellow artists Robert Ryman, Dan Flavin, Gene Beery, and Robert Mangold, and the future art critic and writer, Lucy Lippard who worked as a page in the library. Curator Dorothy Canning Miller's now famous 1960 “Sixteen Americans” exhibition with work by Jasper Johns, Robert Rauschenberg, and Frank Stella created a swell of excitement and discussion among the community of artists with whom LeWitt associated. LeWitt also became friends with Hanne Darboven, Eva Hesse, and Robert Smithson. LeWitt taught at several New York schools, including New York University and the School of Visual Arts, during the late 1960s. In 1980, LeWitt left New York for Spoleto, Italy. After returning to the United States in the late 1980s, LeWitt made Chester, Connecticut, his primary residence. He died at age 78 in New York from cancer complications. LeWitt is regarded as a founder of both Minimal and Conceptual art. His prolific two and three-dimensional work ranges from wall drawings (over 1200 of which have been executed) to hundreds of works on paper extending to structures in the form of towers, pyramids, geometric forms, and progressions. These works range in size from gallery-sized installations to monumental outdoor pieces. LeWitt’s first serial sculptures were created in the 1960s using the modular form of the square in arrangements of varying visual complexity. In 1979, LeWitt participated in the design for the Lucinda Childs Dance Company's piece Dance. In the early 1960s, LeWitt first began to create his "structures," a term he used to describe his three-dimensional work. His frequent use of open, modular structures originates from the cube, a form that influenced the artist’s thinking from the time that he first became an artist. After creating an early body of work made up of closed form wooden objects, heavily-lacquered by hand, in the mid-1960s he “decided to remove the skin altogether and reveal the structure.” This skeletal form, the radically simplified open cube, became a basic building block of the artist’s three-dimensional work. In the mid-1960s, LeWitt began to work with the open cube: twelve equal linear elements connected at eight corners to form a skeletal structure. From 1969, he would conceive many of his modular structures on a large scale, to be constructed in aluminum or steel by industrial fabricators. Each of his large open cubes is 63 inches high, approximately eye level. At this scale, the artist introduced bodily proportion to his fundamental sculptural unit. Beginning in the mid-1980s, LeWitt composed some of his sculptures from stacked cinder blocks, still generating variations within self-imposed restrictions. At this time, he began to work with concrete blocks. In 1985, the first cement Cube was built in a park in Basel. 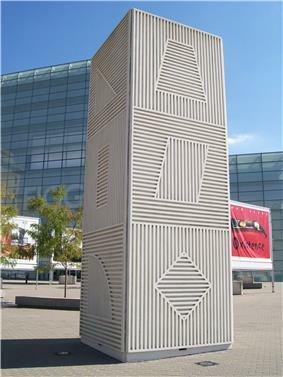 From 1990 onwards, LeWitt conceived multiple variations on a tower to be constructed using concrete blocks. In a shift away from his well-known geometric vocabulary of forms, the works LeWitt realized in the late 1990s indicate vividly the artist's growing interest in somewhat random curvilinear shapes and highly saturated colors. In 2007, LeWitt conceived 9 Towers, a cube made from more than 1,000 light-coloured bricks that measures five-meters on each side. It will be installed at the Kivik Art Centre in Lilla Stenshuvud, Sweden, by 2014. Sol LeWitt, wall drawing, in May 2012 during the Wall Drawings from 1968 to 2007 Sol LeWitt restrospective exhibition at the Centre Pompidou-Metz, Metz, France. In 1968, LeWitt began to conceive sets of guidelines or simple diagrams for his two-dimensional works drawn directly on the wall, executed first in graphite, then in crayon, later in colored pencil and finally in chromatically rich washes of India ink, bright acrylic paint, and other materials. Since he created a work of art for Paula Cooper Gallery’s inaugural show in 1968, an exhibition to benefit the Student Mobilization Committee to End the War in Vietnam, thousands of LeWitt’s drawings have been installed directly on the surfaces of walls. Between 1969 and 1970 he created four "Drawings Series", which presented different combinations of the basic element that governed many of his early wall drawings. In each series he applied a different system of change to each of twenty-four possible combinations of a square divided into four equal parts, each containing one of the four basic types of lines LeWitt used (vertical, horizontal, diagonal left, and diagonal right). The result is four possible permutations for each of the twenty-four original units. The system used in Drawings Series I is what LeWitt termed ‘Rotation,’ Drawings Series II uses a system termed ‘Mirror,’ Drawings Series III uses ‘Cross & Reverse Mirror,’ and Drawings Series IV uses ‘Cross Reverse’. In Wall Drawing #122, first installed in 1972 at the Massachusetts Institute of Technology in Cambridge, the work contains “all combinations of two lines crossing, placed at random, using arcs from corners and sides, straight, not straight and broken lines” resulting in 150 unique pairings that unfold on the gallery walls. LeWitt further expanded on this theme, creating variations such as Wall Drawing #260 at the Museum of Modern Art, New York, which systematically runs through all possible two-part combinations of arcs and lines. Conceived in 1995, Wall Drawing #792: Black rectangles and squares underscores LeWitt's early interest in the intersections between art and architecture. Spanning the two floors of the Barbara Gladstone Gallery, Brussels, this work consists of varying combinations of black rectangles, creating an irregular grid-like pattern. LeWitt, who had moved to Spoleto, Italy, in the late 1970s credited his transition from graphite pencil or crayon to vivid ink washes, to his encounter with the frescoes of Giotto, Masaccio, and other early Florentine painters. In the late 1990s and early 2000s, he created highly saturated colorful acrylic wall drawings. While their forms are curvilinear, playful and seem almost random, they are also drawn according to an exacting set of guidelines. The bands are a standard width, for example, and no colored section may touch another section of the same color. In 2005 LeWitt began a series of ‘scribble’ wall drawings, so termed because they required the draftsmen to fill in areas of the wall by scribbling with graphite. The scribbling occurs at six different densities, which are indicated on the artist’s diagrams and then mapped out in string on the surface of the wall. The gradations of scribble density produce a continuum of tone that implies three dimensions. The largest scribble wall drawing, Wall Drawing #1268, is on view at the Albright-Knox Art Gallery. According to the principle of his work, LeWitt's wall drawings are usually executed by people other than the artist himself. Even after his death, people are still making these drawings. He would therefore eventually use teams of assistants to create such works. Writing about making wall drawings, LeWitt himself observed in 1971 that "each person draws a line differently and each person understands words differently". Between 1968 and his death in 2007, LeWitt created more than 1,270 wall drawings. The wall drawings, executed on-site, generally exist for the duration of an exhibition; they are then destroyed, giving the work in its physical form an ephemeral quality. They can be installed, removed, and then reinstalled in another location, as many times as required for exhibition purposes. When transferred to another location, the number of walls can change only by ensuring that the proportions of the original diagram are retained. Permanent murals by LeWitt can be found at, among others, the AXA Center, New York (1984–85); the Atlanta City Hall, Atlanta (Wall Drawing #581, 1989/90); the Conrad Hotel, New York (Loopy Doopy (Blue and Purple), 1999); the Albright-Knox Art Gallery, Buffalo (Wall Drawing #1268: Scribbles: Staircase (AKAG), 2006/2010); Akron Art Museum, Akron (2007); the Columbus Circle Subway Station, New York; The Jewish Museum (New York), New York; the Green Center for Physics at MIT, Cambridge (Bars of Colors Within Squares (MIT), 2007); the Embassy of the United States in Berlin; the Wadsworth Atheneum; and John Pearson's House, Oberlin, Ohio. The artist's last public wall drawing, Wall Drawing #1259: Loopy Doopy (Springfield) (2008), is at the United States Courthouse in Springfield, Massachusetts (designed by architect Moshe Safdie). Wall Drawing #599: Circles 18 (1989) — a bull’s eye of concentric circles in alternating bands of yellow, blue, red and white — was installed at the lobby of the Jewish Community Center, New York, in 2013. In the 1980s, in particular after a trip to Italy, LeWitt started using gouache, an opaque water-based paint, to produce free-flowing abstract works in contrasting colors. These represented a significant departure from the rest of his practice, as he created these works with his own hands. LeWitt’s gouaches are often created in series based on a specific motif. Past series have included Irregular Forms, Parallel Curves, Squiggly Brushstrokes and Web-like Grids. Although this loosely rendered composition may have been a departure from his earlier, more geometrically structured works visually, it nevertheless remained in alignment with his original artistic intent. Interestingly, LeWitt painstakingly made his own prints from his gouache compositions. In 2012, art advisor Heidi Lee Komaromi curated, "Sol LeWitt: Works on Paper 1983-2003", an exhibition revealing the variety of techniques LeWitt employed on paper during the final decades of his life. Cotter, Holland. Now in Residence: Walls of Luscious Austerity. New York Times, December 4, 2008. Lacayo, Richard. Sol LeWitt's Dazzling Line Drawings. Time magazine, November 17, 2008. Vogel, Carol. Subway Riders Are Greeted by a Blast of Sol LeWitt Color New York Times, September 13, 2009. Kimmelman, Michael. Sol LeWitt, Master of Conceptualism, Dies at 78. New York Times, April 9, 2007. Associated Press. “Sol LeWitt, influential American artist, at 78.” April 9, 2007. Gray, Sadie. Conceptualist pioneer Sol LeWitt dies aged 78. Independent, UK, April 10, 2007. ^ McNay, Michael. "Obituary: Sol LeWitt: American artist whose treatment of forms and colours defied critical analysis". The Guardian, April 11, 2007. Accessed April 17, 2011. ^ Michael Kimmelman (April 9, 2007), Sol LeWitt, Master of Conceptualism, Dies at 78 New York Times. ^ a b c d Solomon R. Guggenheim Museum. 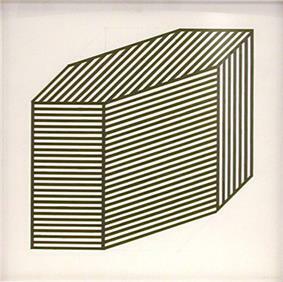 Collection online: Sol LeWitt. Accessed April 17, 2011. ^ Ulaby, Neda. "Sol LeWitt: conceptual art pioneer dies at 78." All Things Considered, NPR, April 9, 2007. Accessed April 17, 2011. ^ a b Sol LeWitt: Structures and Drawings, April 28 - June 30, 2011 Barbara Mathes Gallery, New York. ^ a b Sol LeWitt: Structures 1965-2006, May 24 – December 2, 2011 Public Art Fund, New York. ^ Sol LeWitt: Concrete Block, December 17, 1999 - February 27, 2000. MoMA P.S.1 Contemporary Art Center, New York. Accessed April 17, 2011. ^ Sol LeWitt on the Roof: Splotches, Whirls and Twirls, April 26, 2005 – October 30, 2005 Metropolitan Museum of Art, New York. 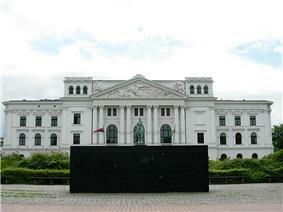 ^ Gareth Harris and Hanne Cecilie Gulstad (January 1, 2014), Europe is set for a summer of big sculpture The Art Newspaper. ^ Christopher Knight (April 10, 2007), Sol LeWitt, 78; sculptor and muralist changed art Los Angeles Times. ^ a b Sol LeWitt, September 3 - October 10, 2013 Paula Cooper Gallery, New York. ^ (2006)Wall Drawing #1268: Scribbles: Staircase (AKAG)Sol LeWitt, Albright-Knox Art Gallery, Buffalo. ^ , 2006Wall Drawing 1211Sol LeWitt, MASS MoCA, North Adams, MA. ^ Sol LeWitt: Arcs and Lines, May 7 - August 26, 2011 Paula Cooper Gallery, New York. ^ Sol LeWitt, September 11 - October 30, 2010 Barbara Gladstone Gallery, Brussels. ^ , 2005Wall Drawing 1152: Whirls and twirls (Met)Sol LeWitt, MASS MoCA, North Adams, MA. ^ , 2007Wall Drawing 1247: Scribbles 7. (PW)Sol LeWitt, MASS MoCA, North Adams, MA. ^ Sol LeWitt National Gallery, Washington, D.C.
^ Adrian Searle (December 7, 2006), Second thoughts The Guardian. ^ Jock Reynolds (June 13, 2009), The Logical and the Lyrical: The stunning beauty of Sol Lewitt’s ‘Wall Drawing #146A’ Wall Street Journal. ^ Sol LeWitt. Wall Drawings from 1968 to 2007 Centre Pompidou-Metz. 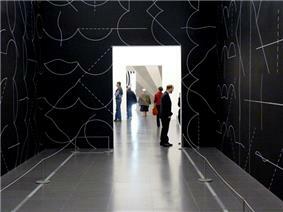 ^ (2004)Wall Drawing #1136Sol LeWitt, Tate, London. 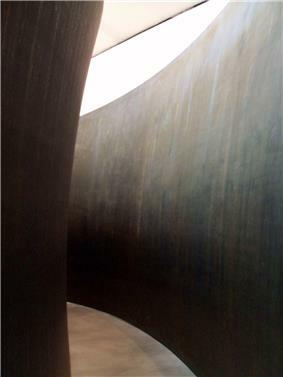 ^ a b c Carol Vogel (July 4, 2013), LeWitt's Reach Extends To Another Lobby New York Times. ^ (2006/2010)Wall Drawing #1268: Scribbles: Staircase (AKAG)Sol LeWitt, Albright-Knox Art Gallery, Buffalo. ^ Sol LeWitt: Gouaches, September 6 - October 15, 2005. Paula Cooper Gallery, New York. Accessed April 17, 2011. ^ Ivry, Benjamin (May 8, 2009). "Sol LeWitt: A Jewish Artist's Leap Into the Unknown". Forward. ^ Zimmer, William (December 9, 2001). "Art Takes a Prominent Spot In Chester's New Synagogue". New York Times. ^ Sol LeWitt: Lines in Four Directions in Flowers Philadelphia Museum of Art. ^ Chelsea Allison (June 5, 2012), The Supernaturalists: Fresh Ellsworth Kelly and Sol LeWitt Exhibitions Bloom on the East Coast Vogue. ^ Genocchio, Benjamin. "LeWitt the collector, filling up a warehouse." New York Times, January 1, 2004. Accessed April 17, 2011. 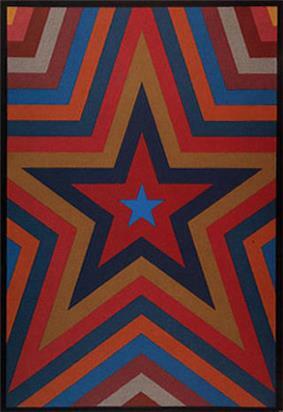 ^ LeWitt x 2, September 9 – December 9, 2007 Weatherspoon Art Museum, Greensboro, NC. ^ Roberts, Veronica, ed. "Converging Lines: Eva Hesse and Sol LeWitt." Austin: Blanton Museum of Art. Distributed by Yale University Press, 2014. ^ Kennedy, Randy (June 26, 2009). "A Round Peg". The New York Times (The New York Times Company). Retrieved 2009-06-07. ^ Sol LeWitt: Works on Paper, May 8 - June 19, 2009. Paula Cooper Gallery, New York. Accessed April 17, 2011. ^ Sol LeWitt, September 15 - October 23, 2004. Lisson Gallery, London. ^ December 4, 2008.New York Times,Holland Cotter, "Now in Residence: Walls of Luscious Austerity"
^ Sol LeWitt Lisson Gallery, London. ^ Sol LeWitt. Donald Young Gallery, Chicago. Accessed April 17, 2011. ^ Sol LeWitt. Lisson Gallery, London. Accessed April 17, 2011. ^ Sol LeWitt. Yvon Lambert Gallery, Paris. Accessed April 17, 2011. ^ , Sale 226Wvy BrushstrokeSol LeWitt, Sotheby's, CONTEMPORARY ART DAY AUCTION, 12 November 2014, New York. LeWitt, Sol. Arcs, from Corners & Sides, Circles, & Grids and All Their Combinations. Bern, Switzerland: Kunsthalle Bern & Paul Biancini, 1972. LeWitt, Sol. The Location of Eight Points. Washington, DC: Max Protetch Gallery, 1974. LINES & FORMES (sic), Livre d'artiste (album de douze planches en noir et blanc), édité par YVON LAMBERT, Paris 1989, ISBN 978-2-900982-06-8. His auction record of $749,000 was set in 2014 for his gouache on paperboard piece Wavy Brushstroke (1995) at Sotheby's, New York. Sol LeWitt has been represented by the Paula Cooper Gallery in New York, Donald Young Gallery in Chicago, Lisson Gallery in London, and Yvon Lambert Gallery in Paris. The Pace Gallery was appointed the International Representative of the LeWitt Estate in November 2007, and continues to represent the Estate today. Sol LeWitt was one of the main figures of his time; he transformed the idea and practice of drawing and changed the relationship between an idea and the art it produces. LeWitt’s art is not about the singular hand of the artist; it is the ideas behind the works that surpass each work itself. Black Form Dedicated to the Missing Jews, Altona City Hall, Altona, Hamburg, Germany, 1987. LeWitt's works are found in the most important museum collections including: Hallen für Neue Kunst Schaffhausen, Switzerland, Australian National Gallery, Canberra, Australia, Guggenheim Museum, the Museum of Modern Art, New York, Dia:Beacon, National Gallery of Art, Washington D.C., and the Hirshhorn Museum and Sculpture Garden. Furthermore, the artist was the subject of exhibitions at Allen Memorial Art Museum in Oberlin, Ohio. At Naples Sol LeWitt. L'artista e i suoi artisti opens at the Museo Madre on 15.12.2012. "Sol LeWitt: A Wall Drawing Retrospective", a collaboration between the Yale University Art Gallery (YUAG), MASS MoCA (Massachusetts Museum of Contemporary Art), and the Williams College Museum of Art (WCMA) opened to the public in 2008 at MASS MoCA in North Adams, Massachusetts. The exhibition will be on view for 25 years and is housed in a three-story 27,000-square-foot (2,500 m2) historic mill building in the heart of MASS MoCA’s campus fully restored by Bruner/Cott and Associates architects (and outfitted with a sequence of new interior walls constructed to LeWitt’s specifications.) The exhibition consists of 105 drawings — comprising nearly one acre of wall surface — that LeWitt created over 40 years from 1968 to 2007 and includes several drawings never before seen, some of which LeWitt created for the project shortly before his death. In 2006, LeWitt’s “Drawing Series…” was displayed at Dia:Beacon and was devoted to the 1970s drawings by the conceptual artist. He had drawn directly on the walls using graphite, colored pencil, crayon, and chalk. The works were based on LeWitt’s complex principles, which eliminated the limitations of the canvas for more extensive constructions. The San Francisco Museum of Modern Art in 2000. The exhibition traveled to the Museum of Contemporary Art, Chicago, and Whitney Museum of American Art, New York. Since the early 1960s he and his wife, Carol Androccio, gathered nearly 9,000 works of art through purchases, in trades with other artists and dealers, or as gifts. In this way he acquired works by approximately 750 artists, including Flavin, Ryman, Alex Katz, Robert Mangold, Brice Marden, Mario Merz, Shirin Neshat, Pat Steir, and many other artists. In 1981, LeWitt was invited by the Fairmount Park Art Association (currently known as the Association for Public Art) to propose a public artwork for a site in Fairmount Park. He selected the long, rectangular plot of land known as the Reilly Memorial and submitted a drawing with instructions. Installed in 2011, Lines in Four Directions in Flowers is made up of more than 7,000 plantings arranged in strategically configured rows. In his original proposal, the artist planned an installation of flower plantings of four different colors (white, yellow, red & blue) in four equal rectangular areas, in rows of four directions (vertical, horizontal, diagonal right & left) framed by evergreen hedges of about 2’ height, with each color block comprising four to five species that bloom sequentially. LeWitt collaborated with architect, Stephen Lloyd, to design a synagogue for his congregation Beth Shalom Rodfe Zedek; he conceptualized the "airy" synagogue building, with its shallow dome supported by "exuberant wooden roof beams", an homage to the wooden synagogues of eastern Europe.